Do you enjoy being around kids? Can you afford a kid? What is your parenting goal? You will have 2 kids! For More Visit Our Amazing Website www.TheQuizMania.com & Please be sure to like us on FACEBOOK --- www.facebook.com/TheQuizMania!! They will both be such adorable and amazing girls. They will grow up looking up to you! How cute? God bless! You will have 4 kids! They will be 4 annoying kids! Just joking! You will have 4 kids, 3 boys and 1 girl. They will be amazing and very intelligent. You would be the perfect parent for them! You will have 1 kid! You will have 1 adorable girl who will run for president and fix every conflict in this world! You'll raise her really well! You will have 3 kids! You will have 2 boys and 1 girl! That's amazing! You'll be the best parent ever! They will all be famous and popular when they're grown! You're a perfect parent! God bless. 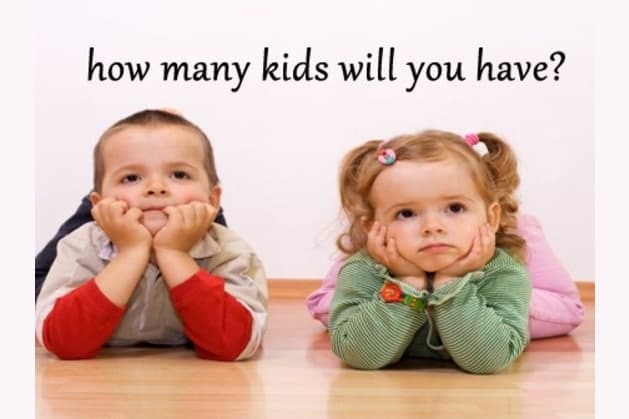 Will you have a bunch of kids? Haha. You don't know, do you? I guess not. Well, can we give you an educated guess? 9 questions away to find out! -------For More Visit Our Amazing Website www.TheQuizMania.com & Please be sure to like us on FACEBOOK --- www.facebook.com/TheQuizMania! !